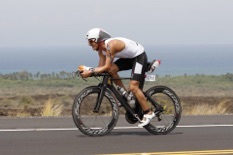 Endurance athlete and coach Darren Jenkins lives and trains at Stratham Retreat in Western Australia. With a recent break from training due to an ongoing hip injury (hit by a car in 2014) Darren has recently returned to Bunbury full time having been absorbed for the past 18 months in the FIFO life. Summer 2018/19 has some exciting options ahead with coaching and may see a return to racing at some level also. 2017 has been a year of rehab so far but all is starting to iron out with a little consistency in training being the target for upcoming months. Recent racing highlights included a trip to London for the London Marathon, Darren was the first Runnymede Runners athlete across the line in 2:48. The long term plan is a return to Ironman Western Australia in Busselton this December with good form across the three disciplines. The 2015 European season saw Darren focus on the Castle Triathlon Series in the UK in which he competed in the entire Gauntlet Series (5 x Middle Distance) and was crowned the series champion. 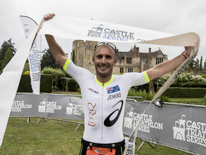 In July at Hever Castle a victory in the Bastion was Darren’s 1st Iron Distance win. The 2015 season took its toll in the body given that it was all carrying hip injuries sustained in a bike crash with a car in Bolton 2014. 2016 was a learning curve with a solid result in Ironman New Zealand, Port Macquarie and Barcelona but still the body was not 100%. Having completed BTF Coaching qualification and a BSc Exercise and Health at The University of Western Australia, Darren passes his passion and experience on to those that he coaches. Perseverance and determination as well as the knowledge to train smarter and harder have been key elements in Darren’s racing and coaching success.